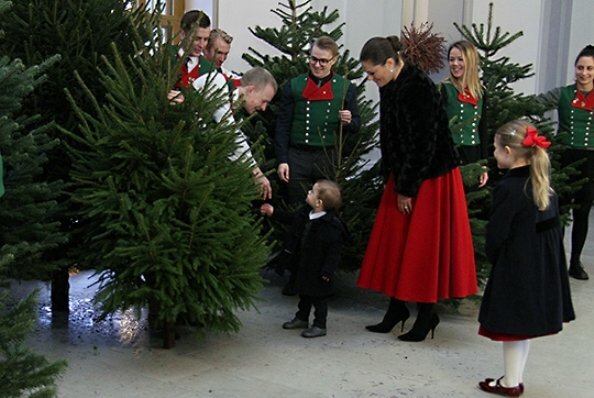 On December 14, Thursday, at Stockholm Royal Palace, Crown Princess Victoria and her children Princess Estelle and Prince Oscar received Christmas trees from students on the Forestry Programme at the Swedish University of Agricultural Sciences (SLU). 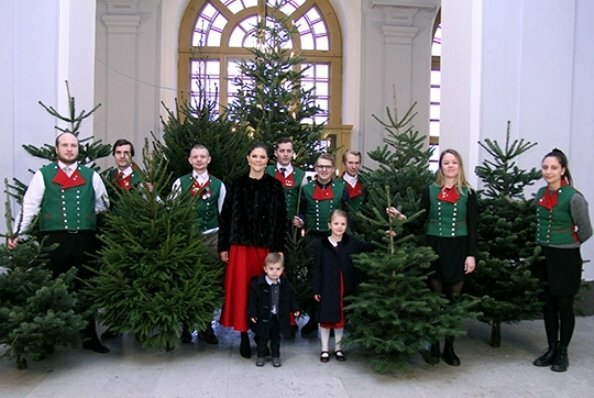 Since the late 1960s, SLU has presented Christmas trees to the Royal Palace. I just love those pictures too Coralie. I love this family. 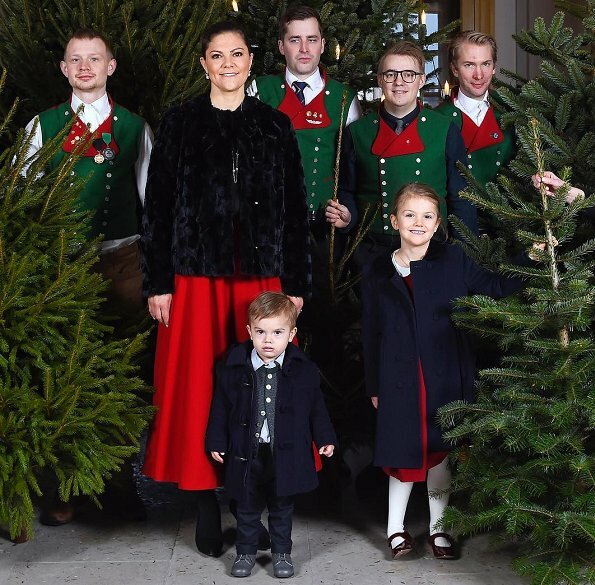 I can't pinpoint exactly what it is but they just seem to be a loving and lovely family. Victoria and Daniel are very invested in their children from the pictures we see of them. 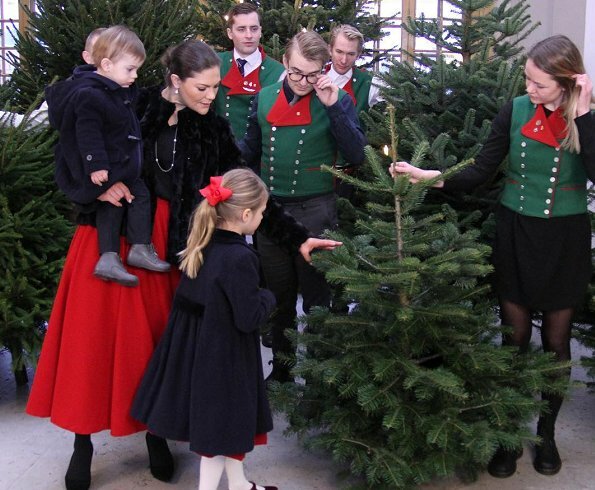 The children are adorable and little Estelle is one gorgeous child! Little Oscar seems shy will be interesting watching him grow!